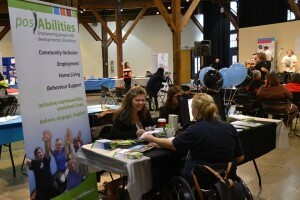 Celebrating International Day of Persons with Disabilities! December 3rd, 2015 marked the UN International Day of Persons with Disabilities! The day works to promote action to raise awareness about disability issues and draw attention to the benefits of an inclusive and accessible society for all. 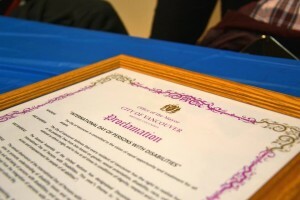 We celebrated this day by heading down to the Yaletown Roundhouse for the free community celebration that marked the final event from the Project EveryBODY campaign. The afternoon kicked off with an opening ceremony from Elder Joe Calder from the Nisga’a nation with remarks and a prayer. Following that, the Hon. Michelle Stilwell, Minister of Social Development and Social Innovation, was invited on stage for further opening remarks. One of the highlights of the afternoon was when the Hon. 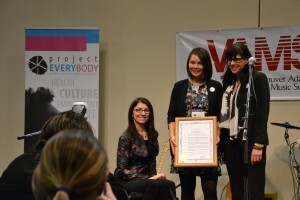 Michelle Stilwell, Deputy Mayor of Vancouver Andrea Reimer, and Open Door Group Executive Director Alona Puehse presented a proclamation from the City of Vancouver to Project EveryBODY for the United Nations International Day of Persons with Disabilities. Throughout the event, guests were treated to some wonderful performances from Stanton Paradis, VAMS Choir, Digger Dan, Spectra and Mark Ash Band. The room was packed with exhibitor booths (including ours! 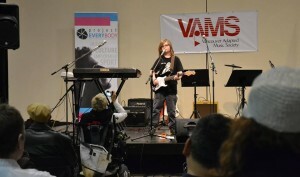 ), and some of whom were talented artists displaying and selling their work. In addition, guests had the chance to participate in PEBTalks, where a number of speakers were brought together to give talks that were idea-focused, and on a wide range of subjects, to provide valuable information, foster learning, inspire– and provoke conversations that matter. To check out more photos from this event, click here! 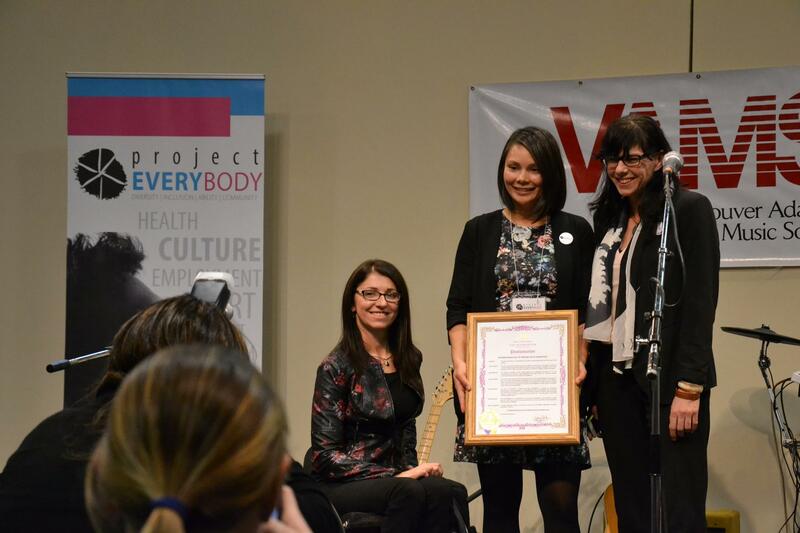 Project EveryBODY is a community campaign led by Open Door Group, that celebrates the achievements that people with disabilities – both visible and invisible – have made and to advocate toward creating a thriving community that is diverse and inclusive. For more information about PEB, click here. We are pleased to be have partnered with Project EveryBODY and collaborated with the many different community organizations and non-profits involved on the campaign this year.